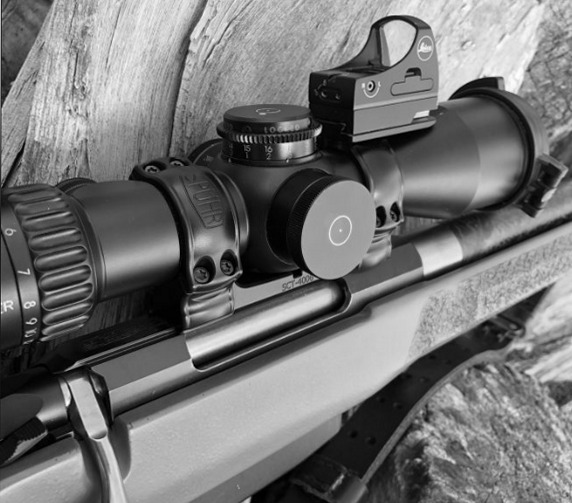 SPUHR's innovative one-piece Mil-Spec scope mount offers unique features such as an accessory attachment interface point, various cants, integrated indexing mechanism and a 45-degree ring construction. SPUHR's new Hunting Series of mounts offers a more attractive and lightweight alternative to the ISMS series of scope mounts. 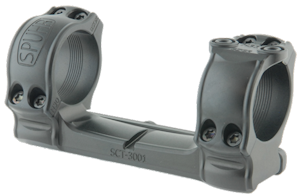 The SCT-3001 is designed for the Tikka T3X but will also fit on the SAKO TRG 22/42. It features one classic ring and one interface ring which can be rotated to position the interface/accessory in either the 12-o'clock or 3/9-o'clock position. This works with rifles with TRG/Tikka T3 dovetail and NOT for Picatinny rail or SAKO TRG-S. The SPUHR unimounts come in various tilt (Cant) configurations starting from zero to 40 MOA with standard tilt being 20 MOA or 30 MOA. The tilt is clearly engraved on the mount. 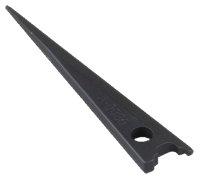 SPUHR Unimounts are available for factory SAKO TRG and Tikka T3x Platforms. 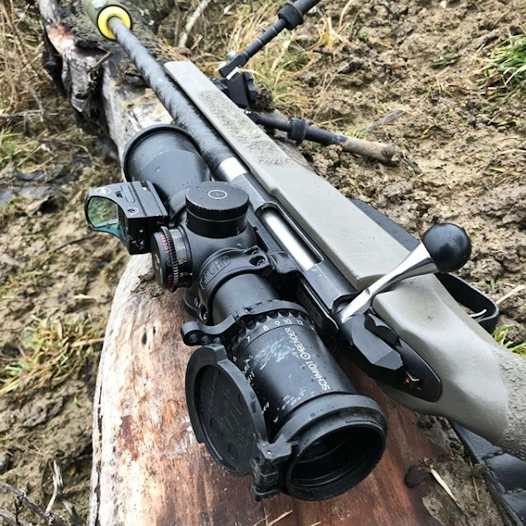 CORETAC SOLUTIONS recommends direct mounting on firearms with their own integral rail, such as Sako TRG and Tikka instead of the use of Picatinny Rail. Both SAKO TRG and Tikka direct unimounts come equipped with Recoil Lug Screw.